Seven artists propose seven unique visions of the iconic Lady Dior Bag. 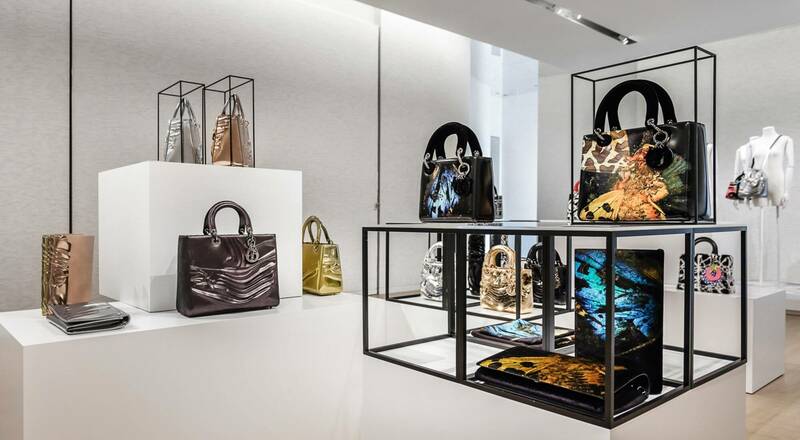 Following Marc Quinn in June, Dior invited six more artists to offer their own takes on this timeless piece, transposing their creative universes to the language of leather craftsmanship. Created in 1995, the Lady Dior bag has become an icon with its architectural design, metallic charms that spell out the name Dior and cannage motif inspired by Napoleon III chairs. In November, Maison Dior invited seven artists to share their personal vision of the celebrated bag. Marc Quinn, Jason Martin, Ian Davenport, Mat Collishaw, Matthew Porter, Chris Martin and Daniel Gordon were given carte blanche to reinterpret the iconic Lady Dior bag. Their creations were unveiled at the Dior Miami boutique during Art Basel, followed by Los Angeles ahead of South Korea, China, London, Dubai and Paris. Matthew Porter drew inspiration from the world of automobiles and the art of camouflage to create a graphic black and white motif, while Ian Davenport reproduced a series of vertical stripes from his series of paintings entitled Colorfall. An artist whose work explores depth, form and color, Chris Martin took inspiration from his work Paleocene Sunset, which is inset with historical figures like hidden scenes waiting to be discovered. 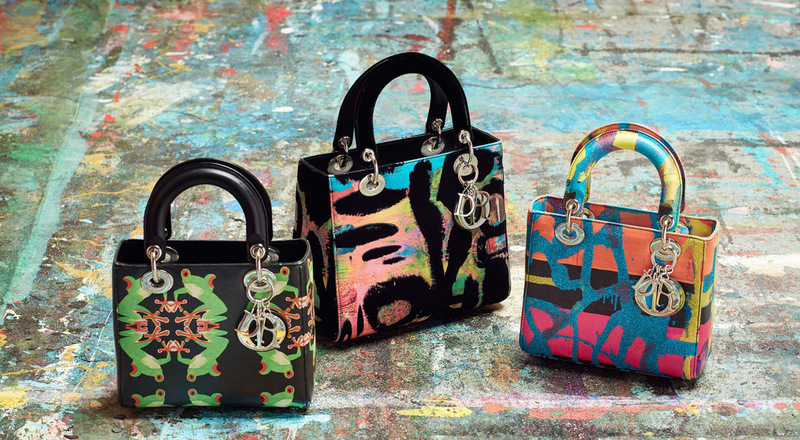 Dior has pushed the limits of its savoir-faire with this collaboration to execute the artists’ visions and their association of multiple materials, colors and motifs.